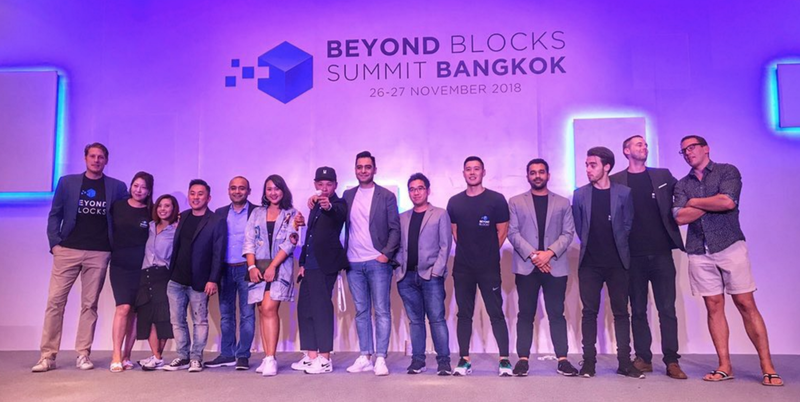 Beyond Blocks Summit Bangkok proves yet again that even if your primary business interest is not aligned with the topic of blockchain, you should still make it a point to attend the event. #morethanaconference. Watch the short after-movie for Summit Bangkok! 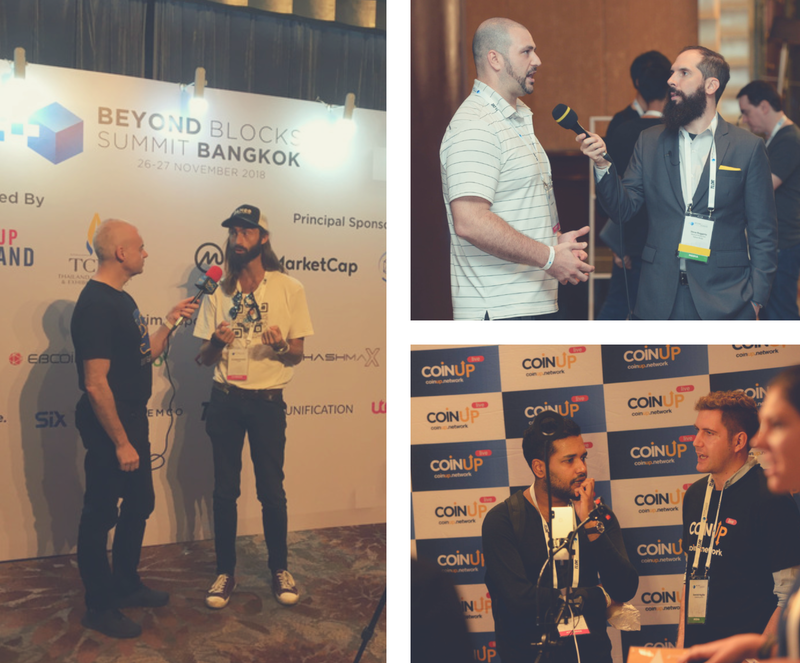 When we first started Beyond Blocks (almost exactly a year ago today) right here in Bangkok, the focus was all about giving the industry two things: a presence and a voice. Not only was it about sharing knowledge and ideas, but to also use the conference as a platform to connect different people in the industry. The market is hurting, the sentiment has shifted, morale is low and the scams are broke – but Beyond Blocks as a platform has not changed or faltered, only the narrative has. As an industry we now have to consider a few things: how do we grow? How do we actually stay relevant? And most importantly, how can we further harness BLOCKCHAIN to take this industry to where we want it to go. This is what we were set out to discuss at Summit Bangkok, and according to our attendees, we nailed it. 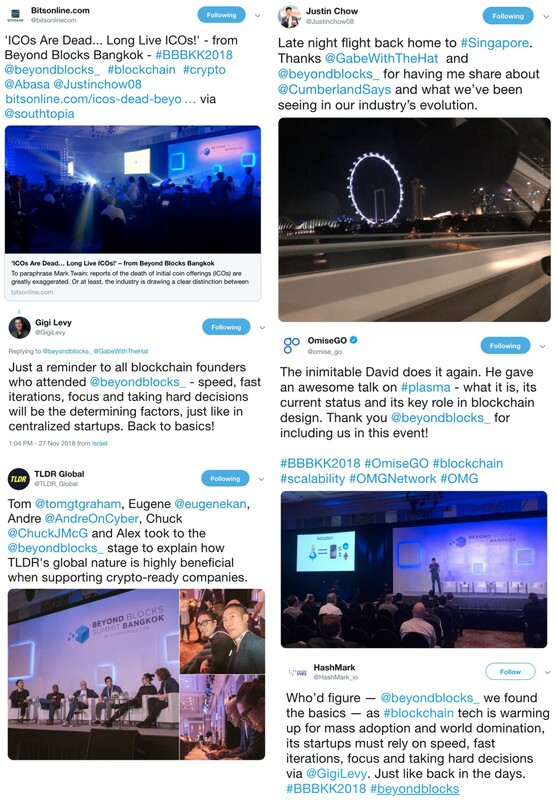 Beyond Blocks is the industry-leading platform that brings the brightest minds in the blockchain space together to collectively share ideas and knowledge for the betterment of the industry. We are a centralized platform for a decentralized industry, built on a common objective that gathers a variety of minds from every part of the spectrum. With hundreds of blockchain-related conferences to choose from, what sets Beyond Blocks apart from the rest? The issue we see is that most of the conferences are solely focused on the volume of people walking the floor — making sure every corner of the venue is filled regardless of the quality of attendees. The key focus is bringing value to you, the attendee. The platform not only stands out as a rewarding conference filled with exhibitions, workshops, parties and showcases — but has built a reputation for providing the one-stop platform that moves the industry forward, for showcasing the opportunities in Asia to the rest of the world, and to uncover how the blockchain applies to the real world now and in the future. On the networking end of the spectrum, we strive to provide a global platform that helps you connect with the right people — whether you’re an investor, startup, developer, VC, fund or corporate — the list goes on. 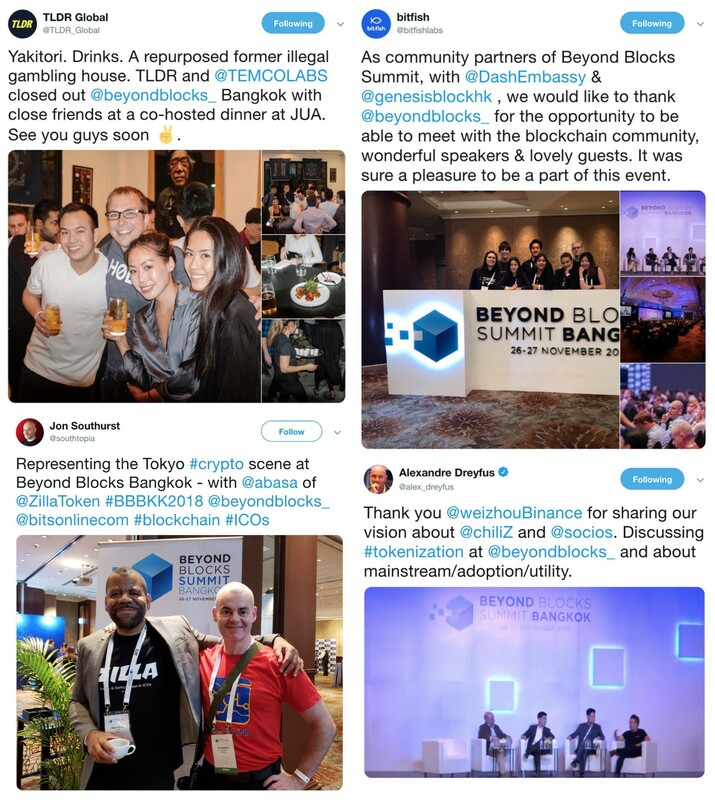 From The Team At Beyond Blocks, Thank You! To all of our attendees, we’d like to take this opportunity to extend our utmost gratitude to everyone supporting the platform. Without the support of our attendees, sponsors and other notable partners, progressing blockchain technology for the betterment of the industry would not be possible. This is our mission, and we thank you for being part of this amazing movement.